You just never know when extending the hand of friendship and being kind to a stranger might change a life. It was just a regular Saturday night at the Hampton Inn in Selinsgrove, Pennsylvania for hotel manager Kahlief Hill. 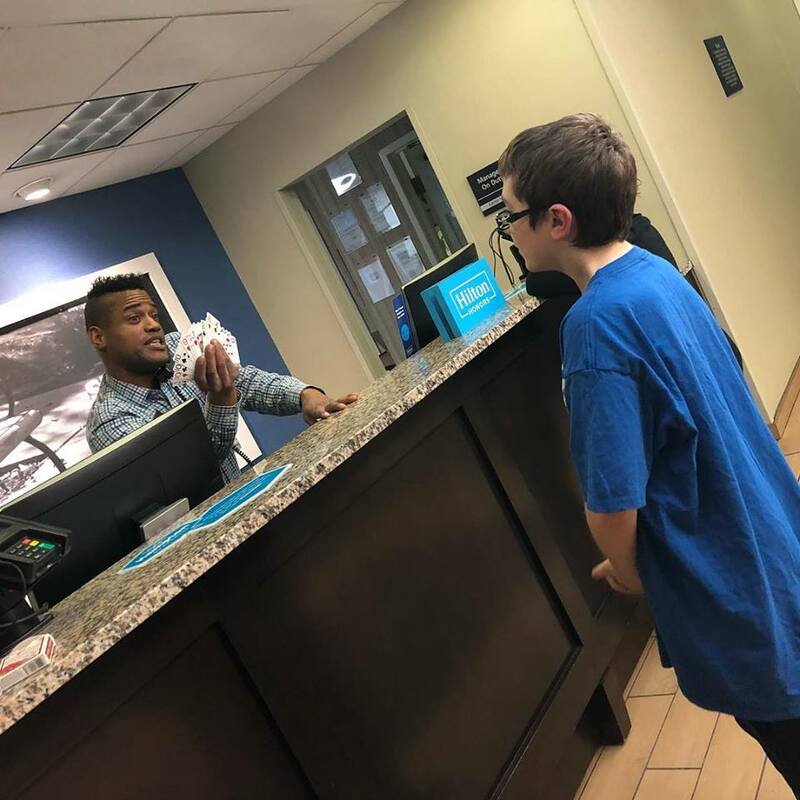 He was working the front desk when the Haas family checked in, yet after the family had gone to their room, he looked up to see their thirteen-year-old son Colin Haas watching him intently. 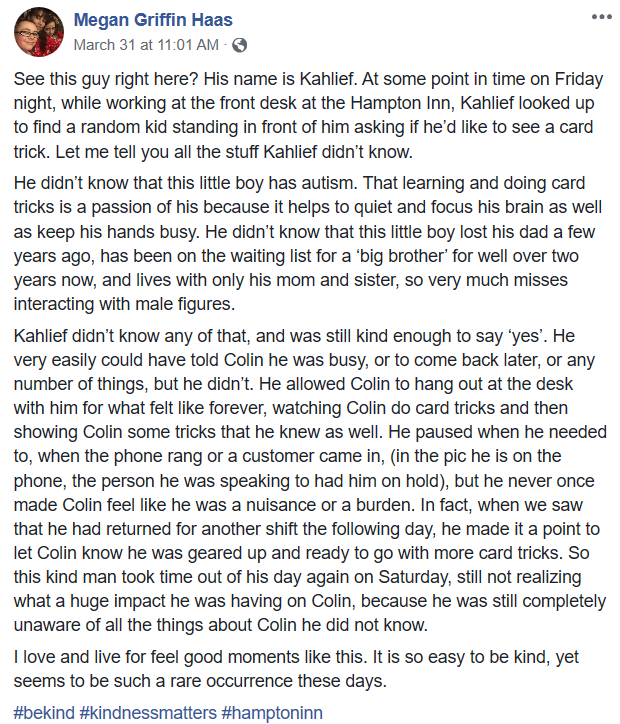 Colin is on the autism spectrum, but Kahlief had no way of knowing that as he extended a friendly greeting to the teen. That’s when Colin asked he could show Kahlief a card trick. “I said, ‘Why not? I’m on hold. I have time,'” Kahlief remembers. He and Colin spent the next half an hour showing each other their best tricks. The next evening when Colin and his mother and sister returned from dinner, Kahlief once again engaged the boy. 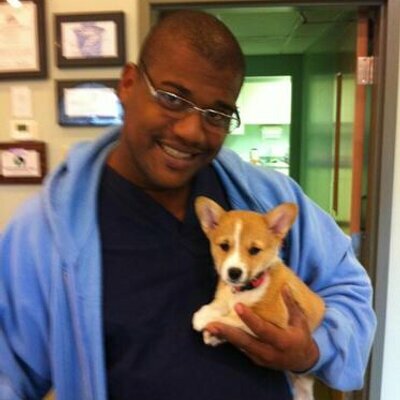 Sure enough, Colin came back to the front desk and spent more time with his new friend. This time, Colin’s mother Megan Haas captured the moment with a photograph. When her son went to bed she thanked Kahlief for spending so much of his work day with her son, but he assured her that it was his pleasure. Still, she felt the need to acknowledge his kindness publicly, so she wrote a Facebook post praising him for taking time to hang with her son. Megan described how Colin has autism and finds that doing card tricks helps quiet his mind and focus his attention. On an even more personal note, Megan shared that Colin has no close father figure in his life so every interaction with a strong adult male leaves a lasting impression on the teen. 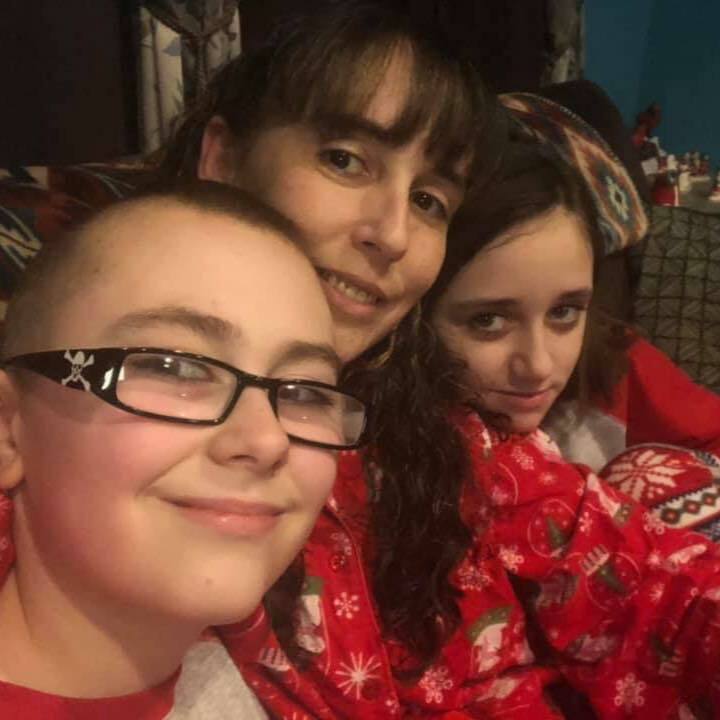 “He didn’t know that this little boy lost his dad a few years ago, has been on the waiting list for a ‘big brother’ for well over two years now, and lives with only his mom and sister, so very much misses interacting with male figures,” she wrote. Megan insists that Kahlief is “just a good person. That’s just how he is.” Colin was so excited about making a new friend that he even sought out and friended Kahlief on Facebook. 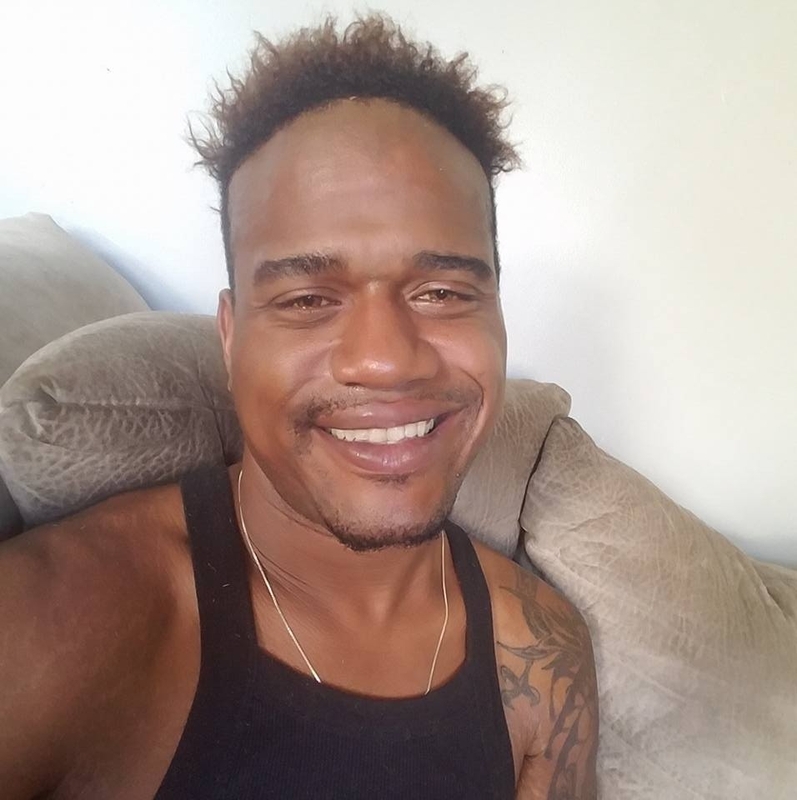 Colin wasn’t the only one seeking Kahlief’s Facebook friendship; after Megan’s story and photo about him went viral, he woke up to 900 new friend requests! This story shows us how we never truly know what’s going on in someone’s life just by looking at them from the outside. That’s why it always pays to be kind! 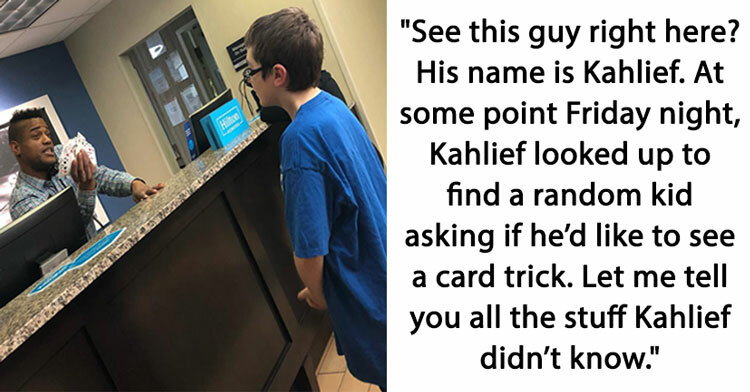 Share this story to encourage more acts of kindness like Kahlief’s!